If you saw the title of this article, clicked through, and now hope to find a few tips and tricks for breaking into a 700, you are in the right place! You have done yourself a great service, deciding to read this article. By the time you finish this article, you’ll be in a better place than you were before. Sorry to disappoint you. But there is no magic sauce, no golden ticket, nor silver bullet that will help you achieve a 700. No tricks, no strategies, and no tips, once learned, will guarantee that the next time you take the test, you’ll score between 700 and 800. Those things only exist in fantasy tales about magic lamps and love potions. No one can give you a list of things to get above 700. Glad we have that out of the way. I hope you weren’t expecting to gain access to an elite group in the course of a single article. Why isn’t there a trick to scoring 700+? There is a very simple reason we can’t game the test and score a 700+. The GMAT tests legitimate skills that are built and refined and honed. Just like any skill, drawing a tree or shaping clay into a cup or building a wooden box, you can’t just read how to do it and expect it to be perfect the first time. And you can’t expect it to be perfect the tenth time or probably even the 40th time. 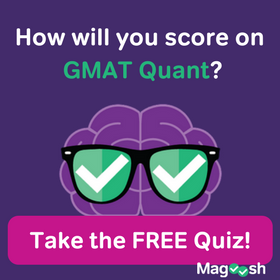 The GMAT wants to know very specifically how well you’ve cultivated certain skills— logic, analytical reasoning, grammar, rhetoric, mathematical reasoning, reading comprehension, and time management. You can’t fake these skills. So if you truly want to score above 700, you need to just get better at these core skills. The people who score above 700+ have honed these skills, sharpened their knowledge, and performed well. I am not saying that they always possessed these skills nor am I saying that you can’t gain these skills, but to get there requires work. You have to up your game and improve your core skills. You have to become better. What does a 700+ even mean? The GMAC points out that a 700+ score means you are in the 89th percentile and above. This tells you—and schools—that your skill level is greater than 89 percent of all GMAT test takers over the past three years. 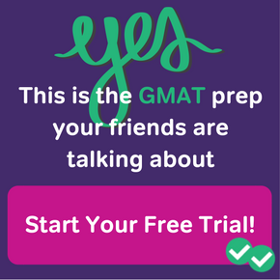 From 2010 – 2013, 783,077 people took the GMAT. How many of those students scored a 700 or above? 86,138! So we can say that about 28,000 people are reaching a 700 or above each year. For some, this might be heartening. And it should be. There are a lot of people reaching these scores. You just need to do better than 89 out of 100 people who take the test. How do people break the 700 mark then? The way people get there is through hard work. Whether it is hard work in their undergraduate career, in their profession, or whether it is hard work focused on the GMAT, everyone scoring in the 90th percentile has work hard to get there. No one walks in and does well without having a strong set of skills. The best thing that you can do at this point is to practice and study. 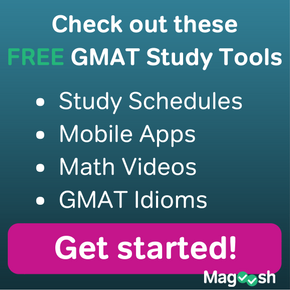 You need to read more, and you need to read material that is on par with GMAT reading. You’ll need to learn the question types, the common wrong answer traps, and refining your pacing strategy. You’ll probably need to perfect your math skills by memorizing percent, fraction, and decimal conversions. You’ll need to have formulas easily accessible in your mind and you’ll need to do it all without a calculator. Know the common argument flaws and know how to strengthen them. You’ll need to…Alright! I think that’s enough talking about how to get there. It’s time to get to work! A simple, sweet and to the the point write up :). Thanks for sharing ! !